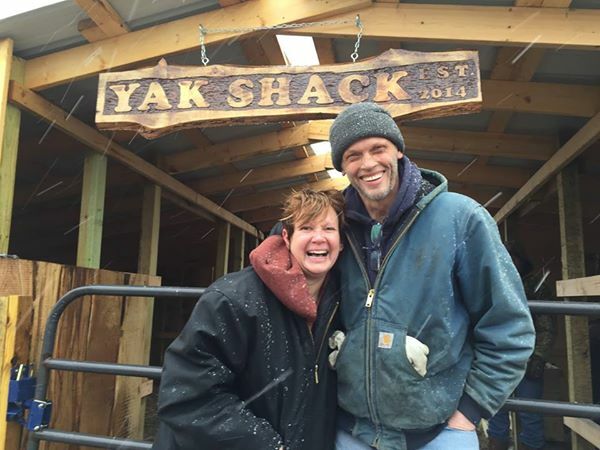 Openherd: Goat Trax Farm is a farm located in Momence, Illinois owned by Jim & Barb Miedema. Goat Trax Farm is owned and operated by Jim and Barb Miedema in Momence Illinois. Jim was raised on a vegetable/flower farm in a small Dutch town called Wichert Illinois. We ran 7 farmers markets with our 3 children for 20+ years. About 15 years ago we made the financial decision to quit the markets, rent our farm land and devote our time to our corporate jobs. It was a sad decision to give up the farm and we never forgot how happy we were to grow and sell the products from our own land. Jump 15 years forward and we experienced a serious health scare which opened our eyes and made us reevaluate our lives. We decided we needed to get back to the farm life and Jim decided he wanted to raise goats, I had always wanted chickens. So while undergoing chemo and radiation treatments, Jim built fences and a beautiful chicken coop and we purchased our first herd and flock! How did we get from goats and chickens to Yak? Well, I read an article about Yaks and they seemed to be the perfect all in one animal. Delicious meat, beautiful fiber, small foot print on the earth and gentle. It started as a joke "I'm gonna get me a Yak some day! ", but I really did wonder why no one was raising this animal here. After much research and one of those "it's a small world" moments we were introduced to a ranch in Michigan and our journey began!! We bought our 1st 8 girls in 2014 from Great Lakes Ranch in Michigan and we added our beautiful bull in 2016 from Living Diamonds Ranch in Montana. Yaks are a beautiful, gentle animal who leave a small foot print on the earth eating 1/3 less than cattle and utilizing their feed to its maximum. 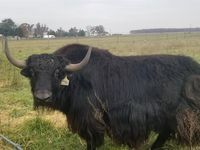 Yaks produce grass fed meat which is low in saturated fat and high in Omega 3 fatty acids. Their fiber has a high value and is compared to cashmere. An added bonus is their tail fiber is valued for fly fishing ties. These are a truly nose to tail valuable animal! We continue to raise goats and chickens we also raise sheep for the fiber and meat. We are on a journey to introduce Yak as an viable alternative to cattle in the Midwest. All of our Yaks are registered with International Yak Registry IYAK. They are the perfect animal for a small acreage farm as a potential financial source or just a family pet. 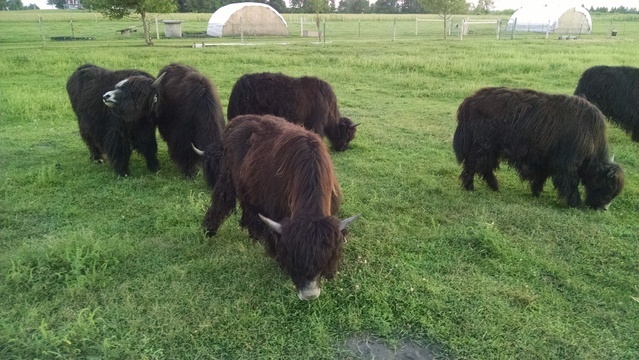 Welcome to Illinois' First Yak Farm! Small farm in the heart of the rich vegetable area of central eastern Il. Producing gentle high quality foundation Yaks whose offspring would be ready for purchase. 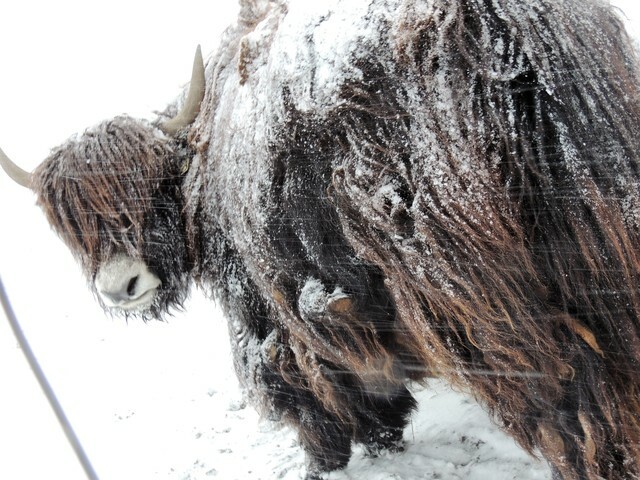 We are introducing Yak as a viable alternative to cattle in the Midwest. Yak fiber is luxurious and comparable to cashmere. 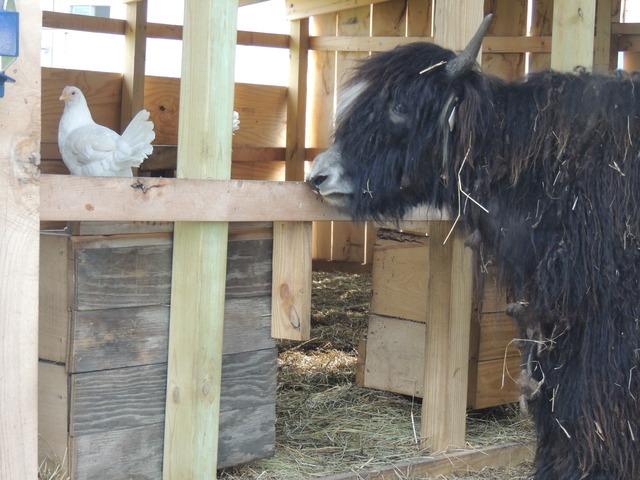 Yaks are the perfect animal for the small acreage farm.